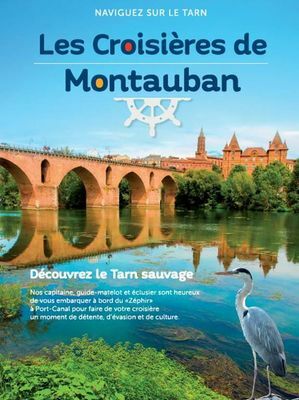 The Montauban Cruises are dedicated to perpetuate the history, traditions and life of the boatmen of yesteryear. 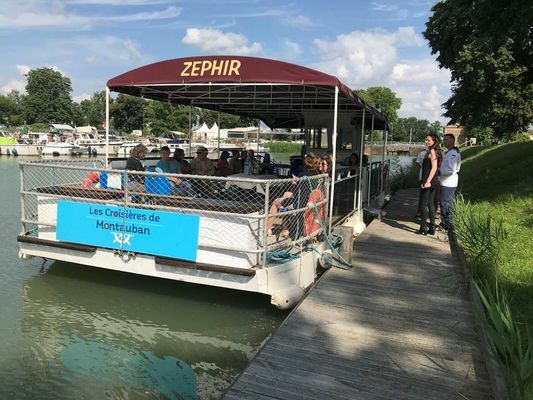 Our Captain and our Guide-Matelot are happy to welcome you on the boat "Zephir" to make your cruise over the Tarn a moment of relaxation, escape and culture. See you at the Canal Port of Montauban. Do not forget to book your tickets in advance by phone. Have a good trip over the Tarn! OPEN: May to July 14 and September 1 to 29: Wednesdays, Saturdays, Sundays and holidays - From July 15 to August 31: Tuesdays to Sundays. 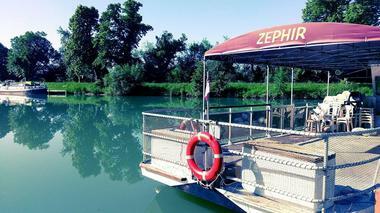 DEPARTURE: 15h + additional departure at 16h45 depending on affluence.